Introducing Flexzilla™ Blow Guns and accessories. 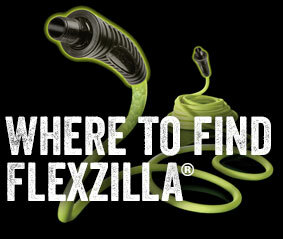 Flexzilla features an ergonomically superior gun body for maximum comfort and control which reduces operator fatigue. A variable flow trigger regulates air volume precisely with maximum flow, equal to or greater than the competition. 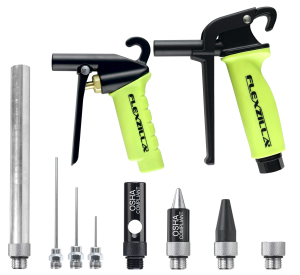 The exclusive modular accessories system allows the Flexzilla blow guns to be customized for extension length and tips needed for any job. Flexzilla safety nozzles and bendable extension are labeled to meet or exceed OSHA standards. Available in a variety of styles to meet all your needs. AG1006FZ Flexzilla™ Extension, 6 in. AG1012FZ Flexzilla™ Extension, 12 in. AG1016FZ-N Flexzilla™ Bendable Blow Gun Extension, 16 in.